To ensure the product’s performance, we offer complete and compliant installation by our specialized and certified Toits Permanents du Québec installers. This protects you with a lifetime product warranty. 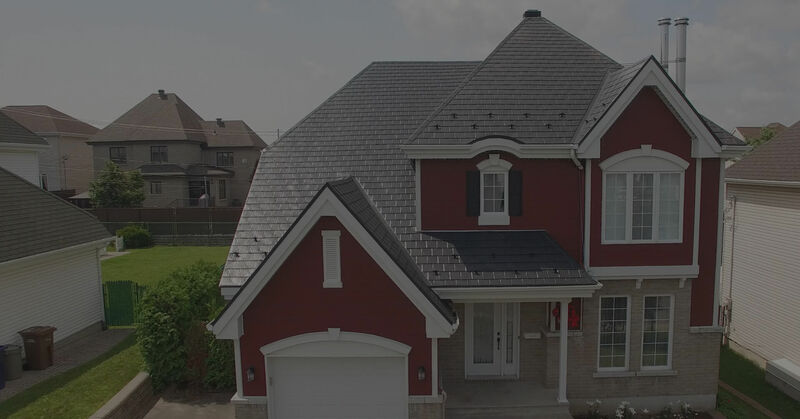 Toits Permanents du Québec is the province’s exclusive distributor and installer of Interlock aluminum roofing. We offer Quebec homeowners a durable and eco-friendly roof that’s maintenance-free and has a lifetime warranty. Ask for your free estimate. Interlock aluminum roofing is the best product, offering a roofing solution that incorporates the latest technological advances. See answers to the questions we get asked most often. Our warranty outperforms our competitors’: our product is guaranteed for life. In the last 20 years, we’ve completed over 7,000 projects and we’re proud of each one. To redo your roof, many products are available for you. Before choosing, dare to compare! Toits Permanents du Québec sets the benchmark in Quebec. We’re the province’s uncontested leader in aluminum roofing. We’re Quebec’s exclusive distributors and installers of Interlock products.